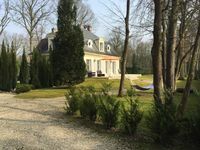 Property 8: Studio of 32m² in Saint-Witz, CDG, Asterix, Parc Expo "You are welcome"
Property 15: Renovated farmhouse in a village 40 mins north of Paris in the Picardie region. Property 35: PARIS 30 KM. PROPERTY ON 4000M ² WITH SWIMMING POOL. 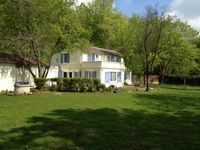 Maison Caron Bed and Breakfast less than 20 minutes from Beauvais airport. Property 46: Maison Caron Bed and Breakfast less than 20 minutes from Beauvais airport.